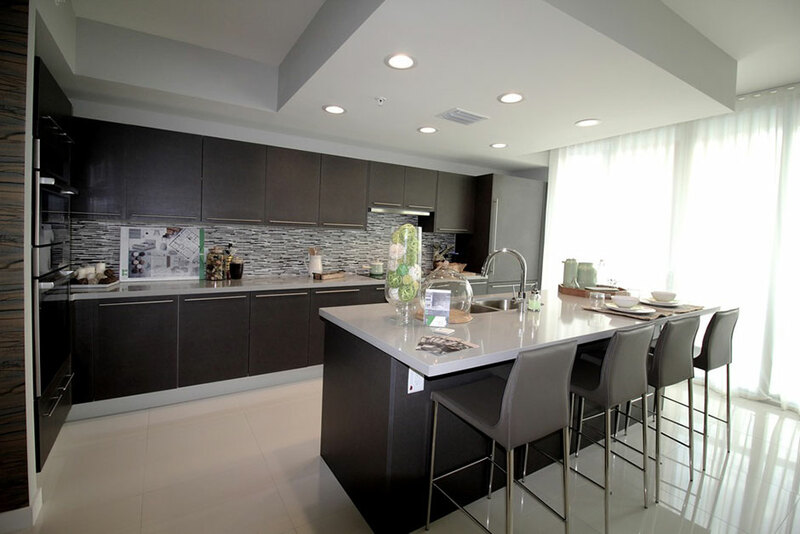 Midtown Doral is a 230 million dollar mixed-used project developed in the rapidly changing city of Doral in Florida. 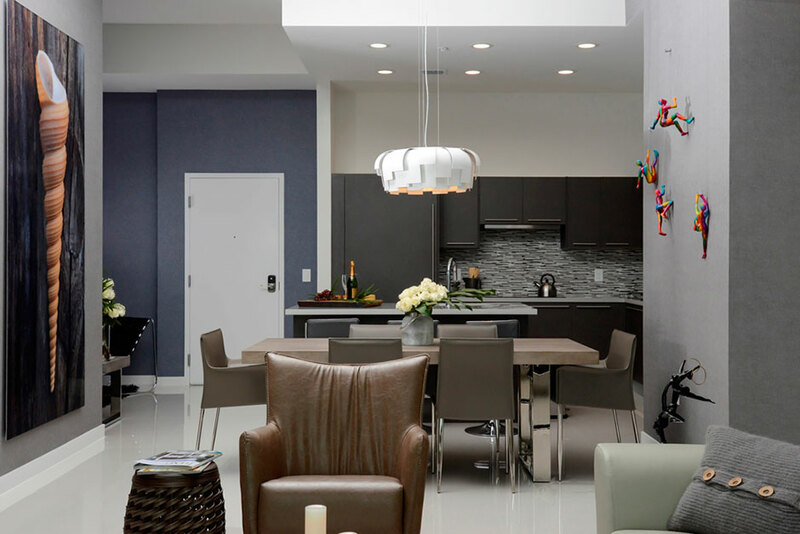 The first phase of the project consists of 4 condo towers which host 537 condos and 68,500 square feet of commercial space. 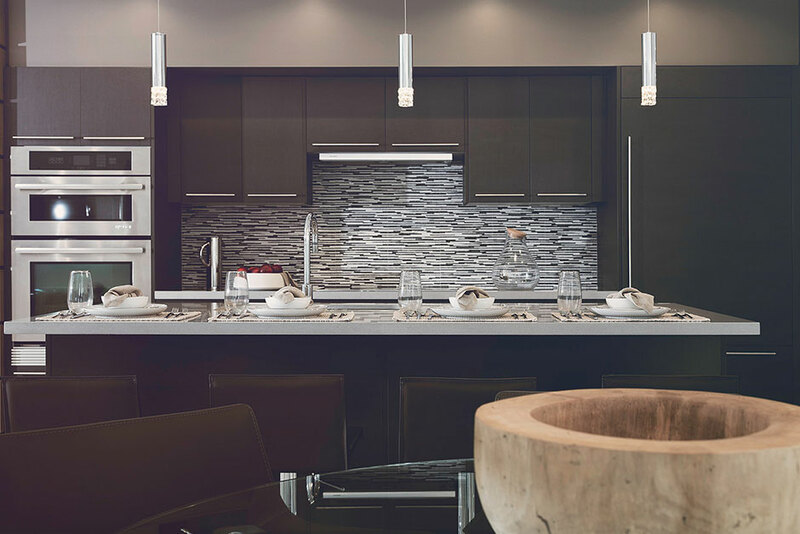 402 kitchens feature Porcelanosa’s cabinetry and about 20,000 sq. 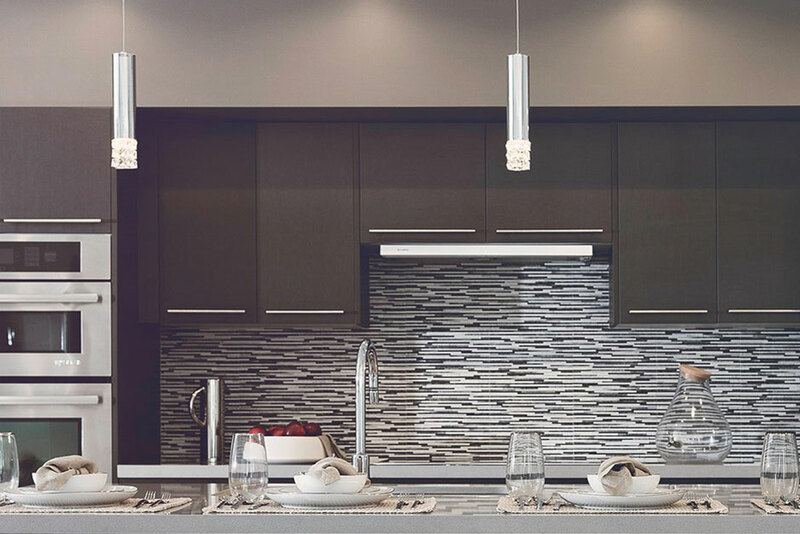 ft. of the Jersey Mix tile is used as a backsplash. 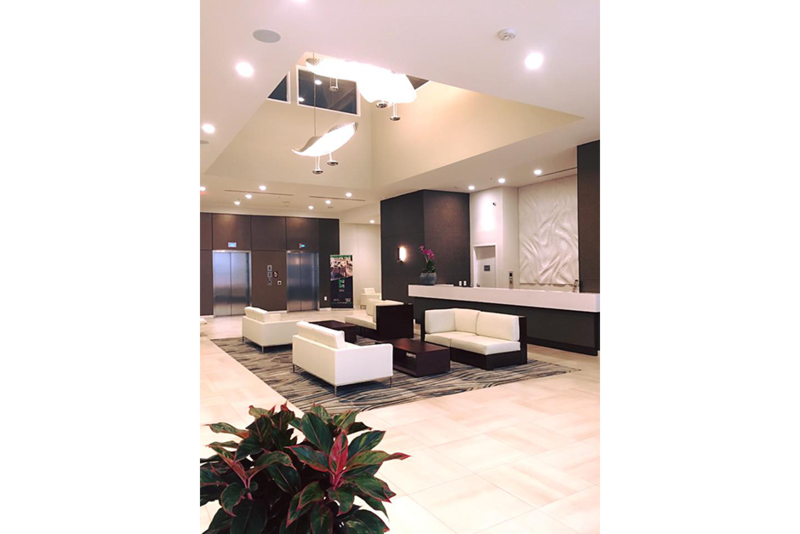 15,000 sq. 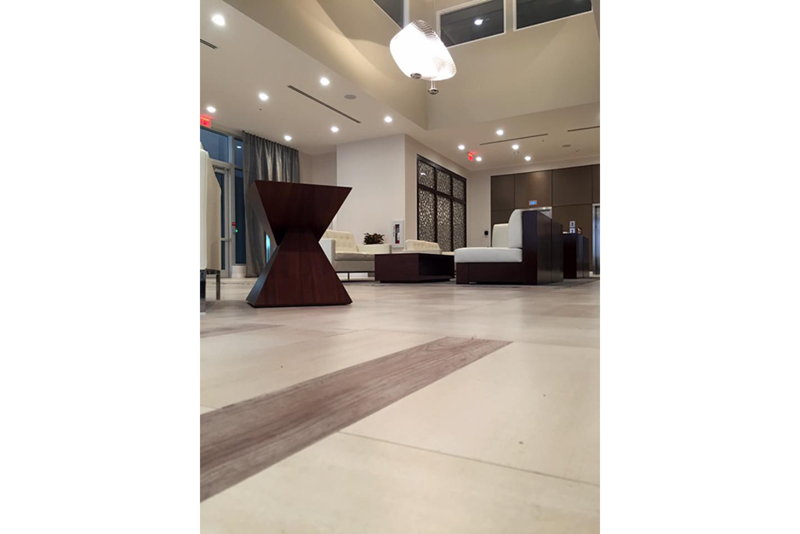 ft. of Porcelanosa’s Hampton Beige and Concrete Beige tiles were used in the lobby.